U.S. stocks will try to rebound from last week's late sell-off . After starting in the red, U.S. stock futures turned higher Monday as investors shrugged off declines in global markets. Investors head into the new month awaiting a pair of new economic reports and the latest monthly auto sales figures. At 10 a.m. ET, the Institute for Supply Management will release its monthly manufacturing index. Also at 10 a.m. ET, the Census Bureau will publish data on construction spending. U.S. stocks fell sharply Friday in a late sell-off, but still managed to end the month with gains of 2% to 4%. 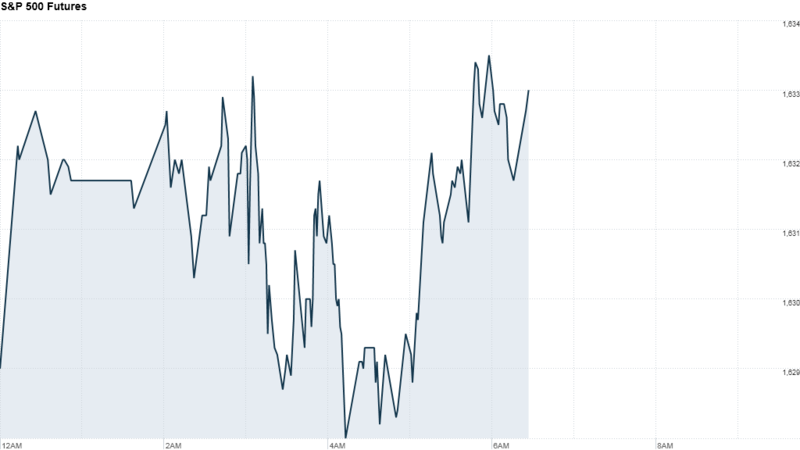 Stocks have been broadly on an uptrend since the start of the year. All three major indexes are up 14% to 18% so far. European markets were mixed in morning trading, recovering from earlier losses. London's FTSE 100 remained slightly in the red, while benchmark indexes in Germany and France turned higher. Stocks in Turkey got hammered as protests against Prime Minister Recep Tayyip Erdogan spread across the country. Asian markets ended with losses, led by a 3.7% tumble for Tokyo's Nikkei. The index has lost nearly 12% since its peak in May. Hong Kong's Hang Seng lost 0.5% and the Shanghai Composite index edged down by 0.1% after the release of divergent manufacturing data. The Beijing government's official report showed growth accelerated last month, while a separate report from HSBC indicated a slowdown.